Stones in His Pocket, set in a rural town in Ireland, tells the story of two friends who are hired to play extras for a movie. In the beginning, the friends are enthralled by the idea of being in a movie; however, as the film carries on, the charm and appeal of life on the silver screen starts to disappear. The play is set in motion when a local townsperson commits suicide from the humiliation he underwent when trying to socialize with one of the movie stars of the film. The two friends and the townspeople are devastated by his passing and are conflicted when the film crew are unwilling to let the extras take time off to attend the townsperson’s funeral. After fully understanding his situation, two friends gain a new perspective, allowing them to recognize the reality of how the film crew’s selfish desires to finish the movie left them uncaring for the people of the town. To try and honor the local townsperson, the two friends try to rewrite a script dedicated to his life. When they present the script to the director of the movie, the director ironically suggests the lack of romance would not appeal to the general audience. 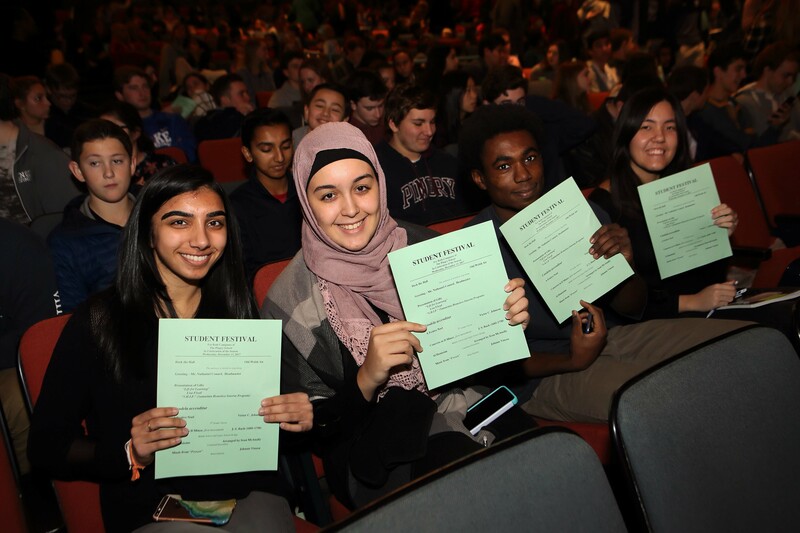 After returning to Pingry, classes reflected on their perspectives of the play. When asked about the most important message of the play, Ms. Romankow emphasized “the importance of extras in life,” suggesting that “no one should be overlooked…. Everyone has their own story.” Ms. Romankow thoroughly enjoyed the trip and is looking forward to more drama field trips. In addition to the teachers, the students also had their own takes on the show. 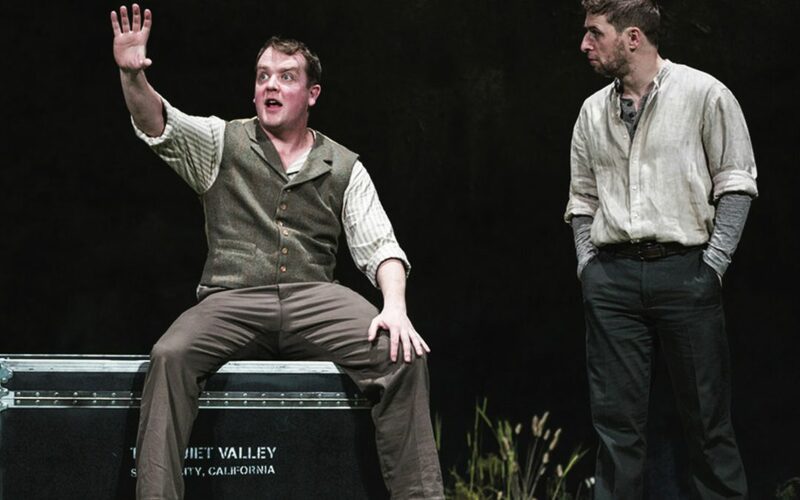 “Watching seasoned actors perform in a show like Stones in His Pockets really allowed us to see how the skills and techniques we learn in drama are implemented at the professional level,” said Megan Pan (VI). 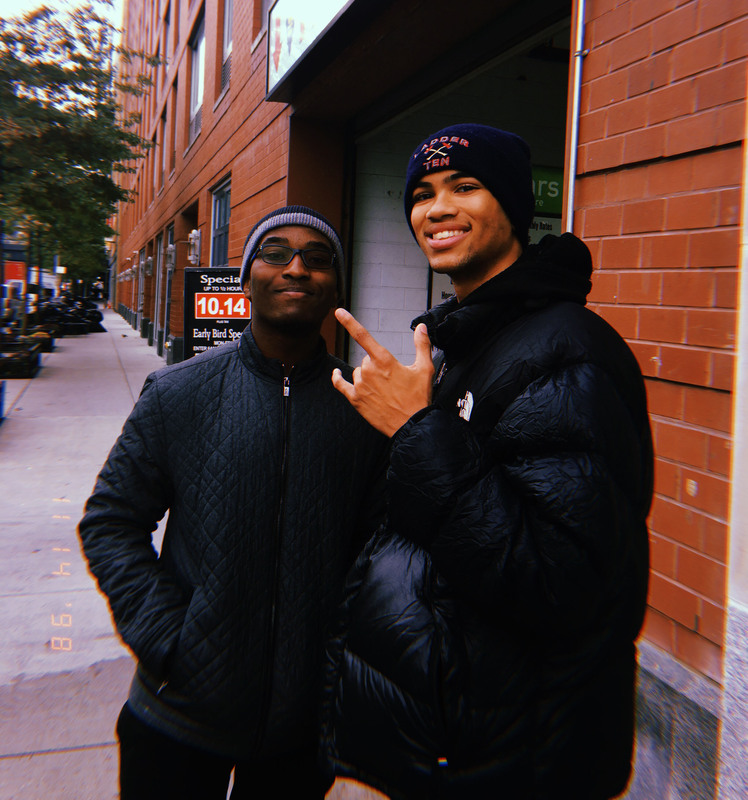 Overall, the field trip to the McCarter Theater offered a unique experience for the drama students, one from which they could learn and grow as a community of actors. 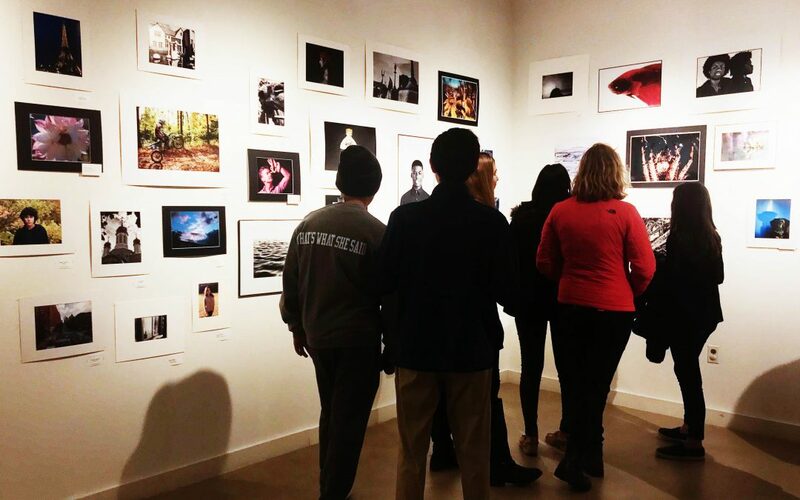 From February 7th through March 6th, the Hostetter art gallery was home to the 22nd Annual Pingry Student Photography Exhibition. Over two hundred photographs were submitted, depicting the best work of students spanning fifteen different public and private high schools near Pingry. The judge of this year’s show was Peter Jennings, a photographer, director, and artist based in New York. 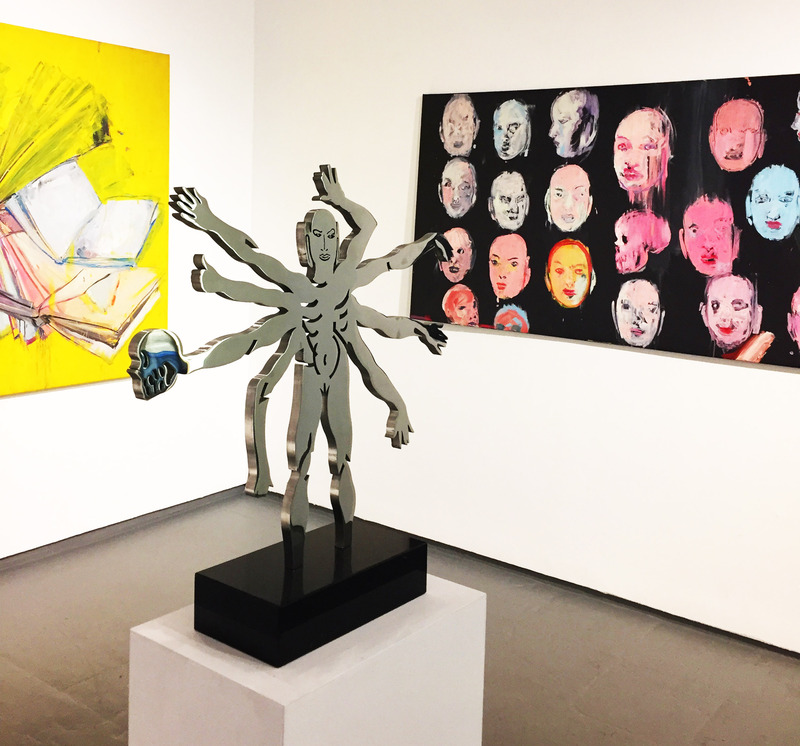 The work included both traditional, film-based photographs and digital prints. Many different tones and moods were represented, ranging from dark and mysterious to light and upbeat. The exhibit captured a range of unique perspectives about current events and everyday moments. For example, Conor Mahoney (VI)’s photograph, titled “Anger Management,” features a fist punching into water, possibly symbolizing the need to release the stress and anger that high schoolers frequently experience. Additionally, “Cigarettes” by Remi Nichols from North Hunterdon High School was another standout work, featuring a jar full to the brim with cigarette stubs. It potentially speaks to the cost of smoking in society and how it must be controlled and contained to minimize the terrible health-related impact on future generations. Lastly, “Bliss,” a black-and-white photo by Arieliz Ramos from County Prep HS, featured two young girls laughing together, referencing the incomparable bond of friendship and the joy it brings between sisters, friends, and family. For the observers of this exhibition, the experience of viewing and interpreting the photos was enthralling. Monica Chan (III) reflected on how “it was interesting to see how Pingry hosts different photographers and allows them to display their work.” An artist herself, Monica remarked that “she finds photography useful as a reference to use when drawing,” taking inspiration from the exhibit in that way. Visual Arts teacher Mrs. Jennifer Mack-Watkins also remarked that “the stories that these young artists are telling with their photographs have to do with common themes that teenagers go through,” and she has seen how enriching it is for other students to observe the work. Mrs. Mack Watkins views this exhibit as a “great way for students to connect with each other” overall. Brynn Weisholtz (IV), Grace Brown (V), Maddie Parrish (VI), Mitchell Pavlak (VI), Olivia Nugent (IV), Namita Davey (VI), Natalie Ladino (IV), Conor Mahoney (VI), Mariam Trichas (VI), Owen Wolfson (VI), Madeline Skapper (IV), Leighton Mayers (V), Maddie Massey (IV), Evan Taylor (V), Nicolette Brigante (IV), Noelle Mullins (IV), Peter Papadopoulos (IV), Ben Ingrassia (V), Ben Mandelbaum (V), Caroline Dannenbaum (IV), Annie Oatman (IV), Abby Jay (V), Tyler Williams (VI), Rita Harrobin (IV), Mercedes Garcka-Kenny (IV), Sophie Loesberg (VI), Aubrey Molloy (VI), Alli Simon (V), Ilana Lurie (VI), Ben Ramos (VI), Nicole Toney (V), Sidney Shannon (VI), Annie Smith (IV), Abby Beckmen (V), Zach Trichas (V), Ryan Geller (IV), Olivia James (V), Kamal Brown (V), George Mychajluk (VI), Lindsey Larson (VI), Alberto Choussy (V), Brian Benson (V), Hailey Cernuto (VI), Chase Barnes (V), Nikki Vanasse (IV), Jordan Taylor (VI), Sophia Weldon (VI), and Kassidy Peterson (VI). On Monday, January 22, the Drama II class held their annual drama assembly showcasing the skills they have worked on throughout the year. This year, the class performed “Appropriate Audience Behavior” by Mr. Ian McWerthy. 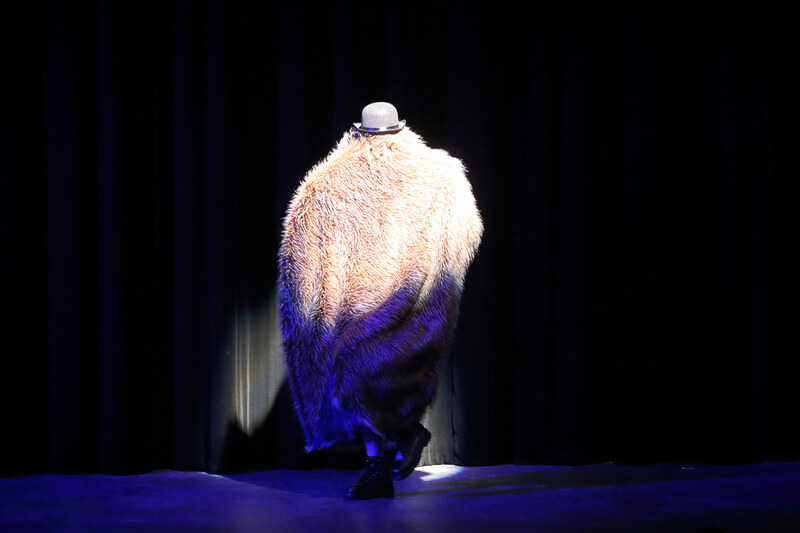 This play spoofs behaviors that are deemed unacceptable by the theatre community, such as eating during a show or speaking loudly during a production. While this play spans many topics, there were many parts that stood out. Highlights included Stuart Clark (IV) bringing spaghetti on stage and proceeding to eat it and laugh uncontrollably; James Raincsuk (IV) complaining about his tax dollars being spent on terrible chairs; Maddie Pilla (IV) ranting in annoyance at the actions of her peers; Corby Elliot (IV) cheering rambunctiously; Kelsey Ransom (IV) preaching pretentiously; and Helen Baeck-Hubloux (IV) melting down at the end of the play. These are just a few of the moments that made the show so spectacular. The commitment to the art of acting was impeccable and was clearly seen in Josh Thau (IV) and Jessica Hutt’s (IV) portrayals of old people and the way Alexandra Weber (IV), Amy Composto (IV), Julia Guagliardo (IV), and Sonia Talarek (IV) stayed in character throughout the show. In spite of time constraints, the Drama II class put on a stellar performance. According to Mr. Alan Van Antwerp, the Drama II teacher, the group started rehearsing after winter break: this is customary as Mr. Albert Romano, the former Drama II teacher and head of the Drama department, had always followed this schedule. Since winter break started a week later this year than in the past, this left the Drama II students only five rehearsals to learn all their lines and stage the play. As it was his first production, Mr. Van Antwerp described the process as nerve-wracking, especially when showing the work to his peers. Still, he said he was lucky to have such talented students who were able to pull off this production. In addition, Mr. Romano was in the audience and congratulated the Drama II students and Mr. Van Antwerp on a job well done. All in all, it is clear that this assembly was received well by the community and that the Drama II class has made the Arts Department very proud. 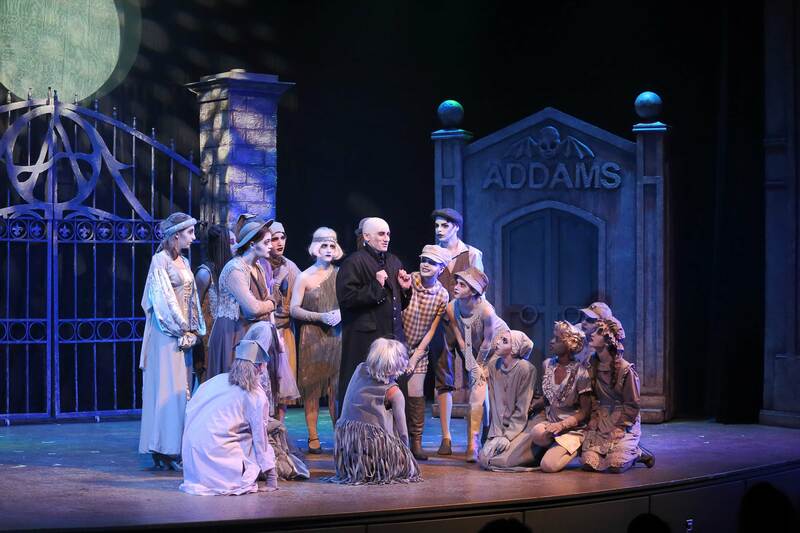 On February 22, 23, and 24, Pingry’s Drama and Music Departments presented this year’s winter musical, The Addams Family, a quirky comedy written by Andrew Lippa. Following the members of the infamous clan known for their dark and twisted outlook on life, the musical takes place over one wacky night filled with exposed secrets and new revelations. The plot focuses on what happens when Wednesday Addams (Dorothea Miller, V), the oldest child and only daughter of Gomez (Lucas Vazquez, V) and Morticia Addams (Isabel DeVito, V), finds love with a normal Ohioan named Lucas. When Lucas (Leo Zhu, V) and his parents come to the Addams’s house for what they believe will be a simple dinner, instead they experience an unusual night of bizarre family traditions and meddlesome potions. When Wednesday decides to tell only her father of her recent engagement to Lucas, Gomez, as a loyal husband and father, struggles to keep this secret. At dinner, while playing the family’s time-honored game, “Full Disclosure,” in which everyone must confess an untold secret, Wednesday’s brother Pugsley Addams (Katerina Deliargyris, V), attempts to stop the marriage. However, this plan goes awry. In a dramatic fashion, Morticia learns of their plan to wed. Both families in shambles, the lovers, both new and old, must learn to forgive and to find their way back to one another. 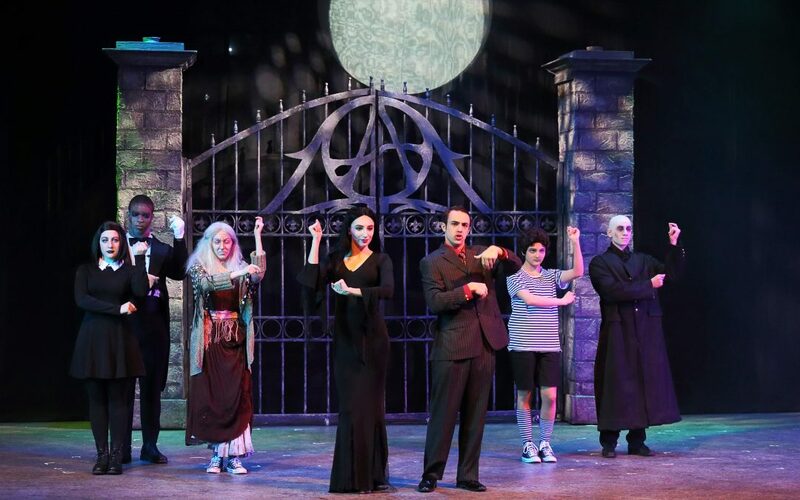 As the musical progresses, viewers watch both Wednesday and Lucas, Morticia and Gomez, and Lucas’ parents, Mal (Andrew Cowen, V) and Alice (Maya Huffman, V) come to accept their differences and reaffirm their undying love for one another. The clan’s elders, hoping for love to triumph, cheer on the lovebirds throughout the show. Director Mrs. Stephanie Romankow brought a creative, and spunky take to this twist on the classic family. 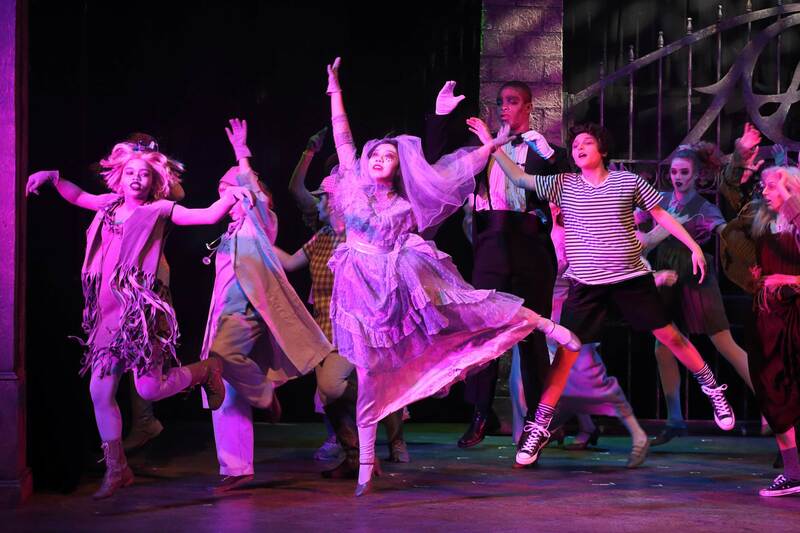 When choosing this year’s musical, Romankow decided on The Addams Family because it “allowed all students to practice some acting, singing, and dancing,” while it “speaks to all types of love” as well as family life and forgiveness. As the director, she was elated by the “giant puzzle” the students, teachers, and parents put together. “It was an honor “to spend time with people who care about this musical,” she said. To create a complex and beautiful set, Mrs. Jane Asch and Mr. Christopher Abbott worked long hours, along with students and parents. 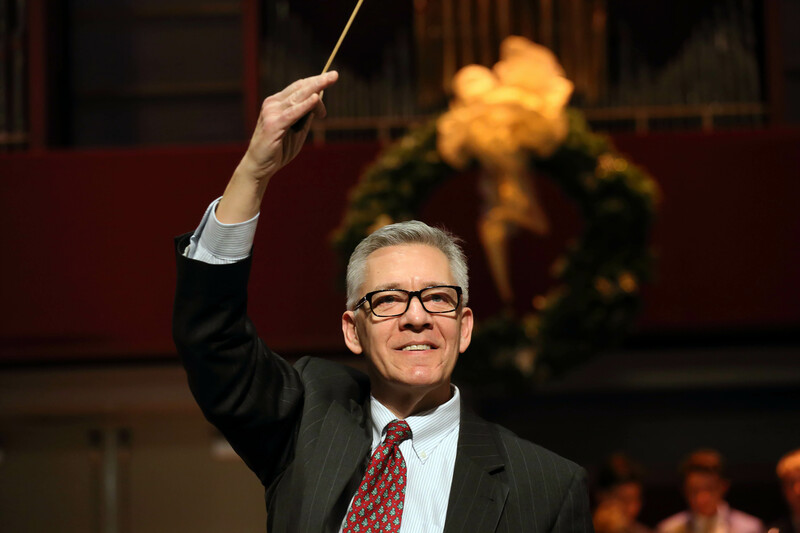 Mr. Alan Van Antwerp served as the lighting and technical director, while Dr. Andrew Moore, as the pit orchestra conductor, directed student musicians throughout the show. Stage managers for the musical included Allison Matthias (V), Udochi Emeghara (V), and Quarida Benatia (VI). 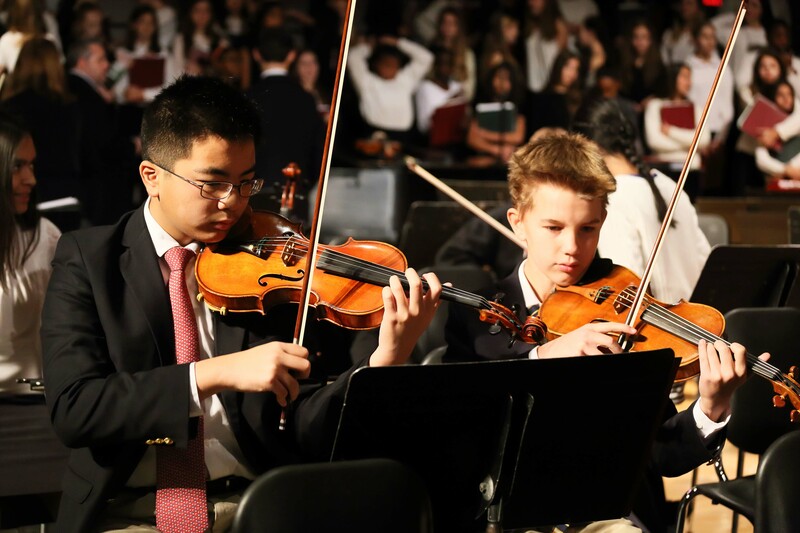 During the week before Thanksgiving break, four of the school’s musical groups performed in this year’s Ensembles Concert. The concert consisted of the strings ensemble, the Buttondowns, the Balladeers, and the jazz band. The concert took place in a transformed senior area, where the senior couches were replaced with chairs and benches for the audience. Faculty, friends, and family stood and sat from the library balconies all the way down to the senior area. The strings ensemble set the tone for the concert, beginning with “Ashokan Farewell” by Jay Ungar with strings teacher Ms. Vera Izano playing alongside her middle and high school students. A few select students performed Beethoven’s String Quartet No. 4, namely, Rebecca Lin (VI) and Felicia Ho (V) on the violin, Ethan Chung (VI) on the cello, and Ms. Izano and Jessica Li (VI) on the viola. The strings ensemble then finished off their performance with an arrangement of Hungarian Dance No. 5 by Johannes Brahms, with Head of the Music Department Dr. Andrew Moore accompanying on the piano. The strings ensemble was followed by a combined performance by the Balladeers and the Buttondowns. The two groups joined to sing a moving rendition of “Over the Rainbow” arranged by Mark Hayes and “Bridge Over Troubled Water” arranged by Kirby Shaw. The Balladeers continued the performance, wearing their signature black dresses and purple sashes around their waists. The Balladeers’ performance was coordinated by music teacher Mr. Jay Winston. The a cappella group arranged themselves in a semi-circle and sang “The Sound of Silence” arranged by Balladeers president Maya Huffman (VI). 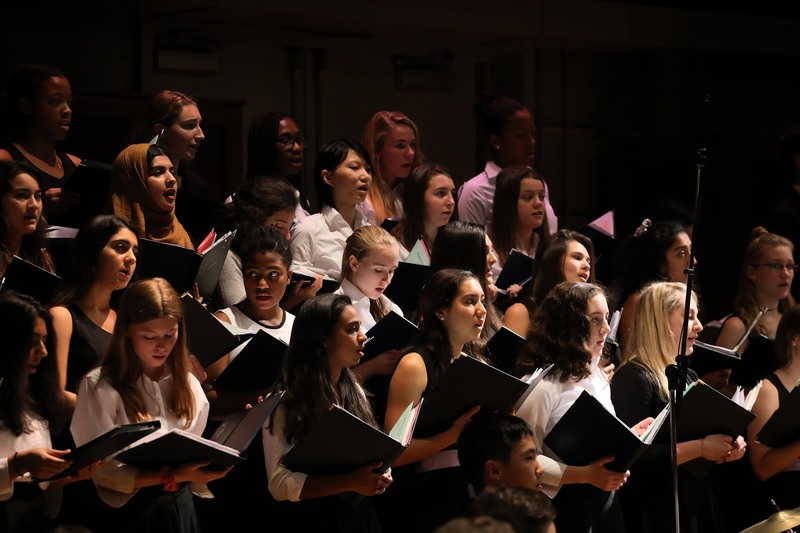 Ashana Makhija (IV) sang the starting solo, and Nicole Gilbert (IV), Isabel Devito (V), and Anna Wood (VI) joined in with their own solos throughout the song. The Balladeers then sang “The Seal Lullaby” by Eric Whitacre and ended with “Fireflies,” also arranged by Maya Huffman, with soloist Nina Srikanth (IV). Following the Balladeers, the Buttondowns continued the concert with the traditional Korean folk song “Arirang,” arranged by Brad Printz, with guest soloist Alyssa Chen (VI) on the flute. The group then took on the pop song “Just the Way You Are,” arranged by former Buttondown James Robertson ’17 and the current Buttondowns president Jonathan Huang (VI), with strong solo performances by Rajeev Doraswamy (V) and Ian Dugan (V). They then concluded their part of the concert with “Death of a Bachelor” by Panic! At the Disco, arranged by Jonathan Huang, who also was the featured soloist. Alex Kaplan (III), Nolan Baynes (III), Ian Dugan (V) and others took on supporting parts in the song. The performance concluded with the jazz band directed by music teacher Mr. Sean McAnally. The ensemble performed the songs “Red Clay” by Freddie Hubbard, “Stop” arranged by Sean McAnally, and “Better Get It In Your Soul” by Charles Mingus, all of which frequently featured improvisations by different members of the group. 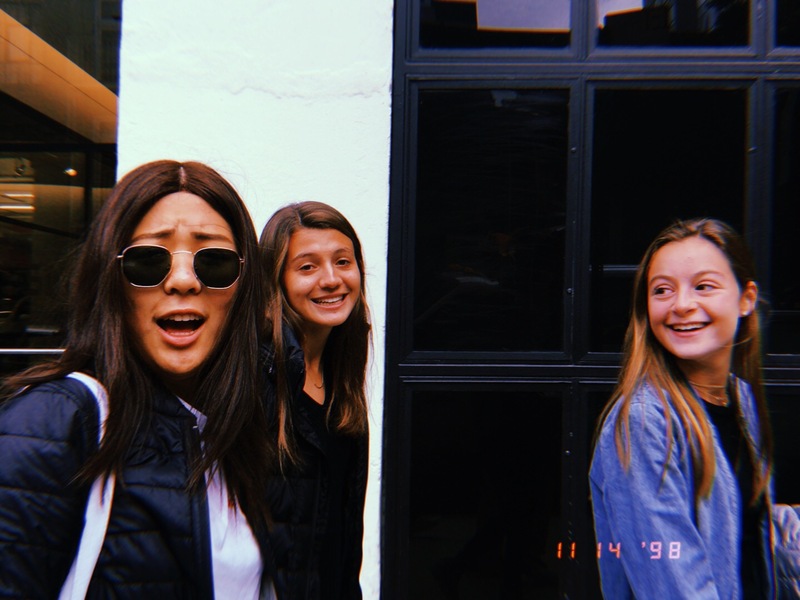 On Tuesday, November 14th, the photography, portfolio, film, and drawing and painting classes visited the Chelsea Galleries in New York City for their annual gallery trip. 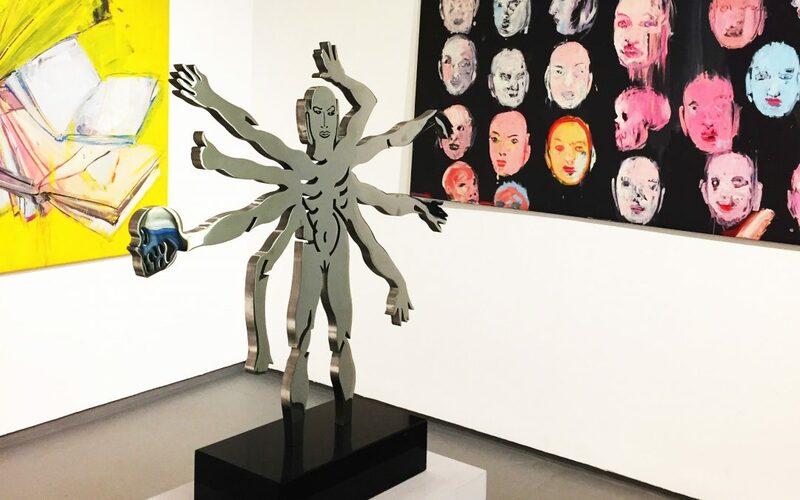 They went to many different types of galleries, including ones that specialized in photography, painting, and abstract art, inspiring a variety of different reactions amongst the students. One of the more abstract art galleries the students visited was the Paul Kasmin Gallery, which showcased Lee Krasner’s Umber Paintings. Many students commented that these paintings, which looked like random brush strokes, reminded them of Jackson Pollock’s paintings. They later learned that Lee Krasner was actually Jackson Pollock’s wife. Another gallery had wooden floors and a variety of suspended sculptures, along with green fuzz-looking material; it looked like a forest of abstract art. Other interesting galleries included one in which there was a gigantic beard suspended in the air, another with a variety of rotating furniture items, and one in which there were photographs of crumpled pieces of paper. 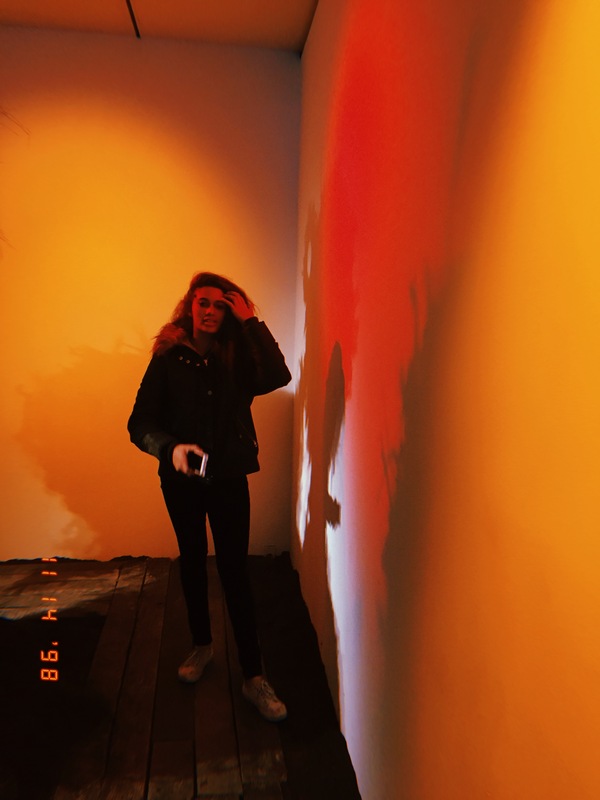 “This was my second time going on the Chelsea trip, and even though we didn’t see as many galleries as last year due to a traffic jam that caused the buses to be delayed, it was still nice to walk around the city and see the variety of artwork,” said Jewell Strickland (VI) of the experience. “My favorite part was probably going to Eataly.” She added that her favorite gallery was the one with suspended sculptures that looked like a forest. During the gallery trip, students were given the assignment of taking three photos of art that they liked, three they were confused by, and one they would “gift” to a friend. 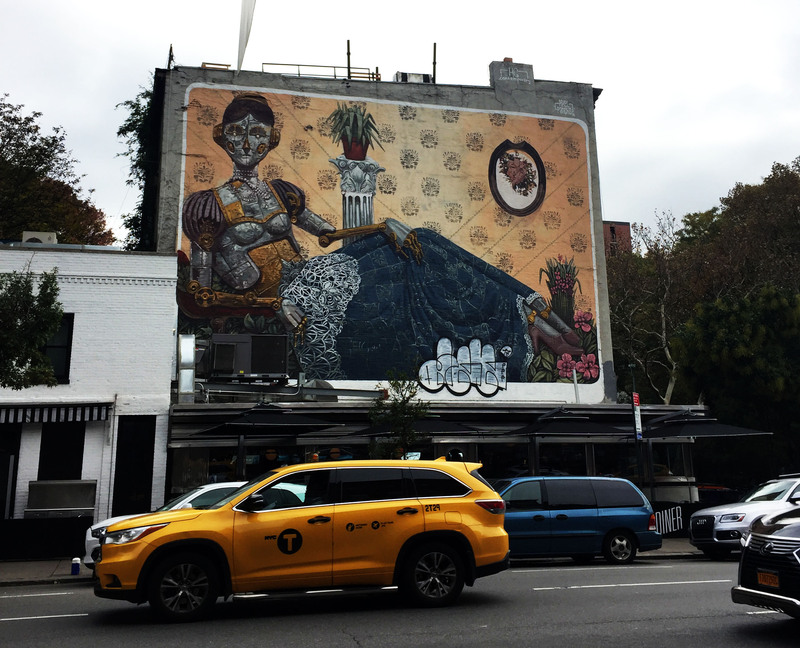 After visiting different galleries for around two hours, the students then boarded their buses to Eataly NYC Flatiron, which is always one of the students’ favorite parts of the trip. There, they lined up at the variety of cafes and counters for pizza, pasta, and other Italian foods and desserts. At school the next day, the classes continued discussions about the gallery artwork as well as artwork they may have been confused by during their art classes. Overall, the gallery trip to Chelsea was a success, much enjoyed by those who went. On November 21, students and faculty members took a break from their busy school day to enjoy the Buttondowns Assembly, a highly anticipated annual event presented by the Buttondowns, Pingry’s all-male acapella group led by president Jonathan Huang (VI). The movie ended with the tradition of the Buttondowns entering Hauser Auditorium to the song, “We Will Rock You,” dressed in the their recognizable outfits: khakis and white button-down shirts. They then began singing. The first song they performed was “Sunday Candy” by Donnie Trumpet and the Social Experiment, a popular group which features Chance the Rapper. The Buttondowns’ rendition featured soloists Nolan Baynes (III) and James Wang (IV). 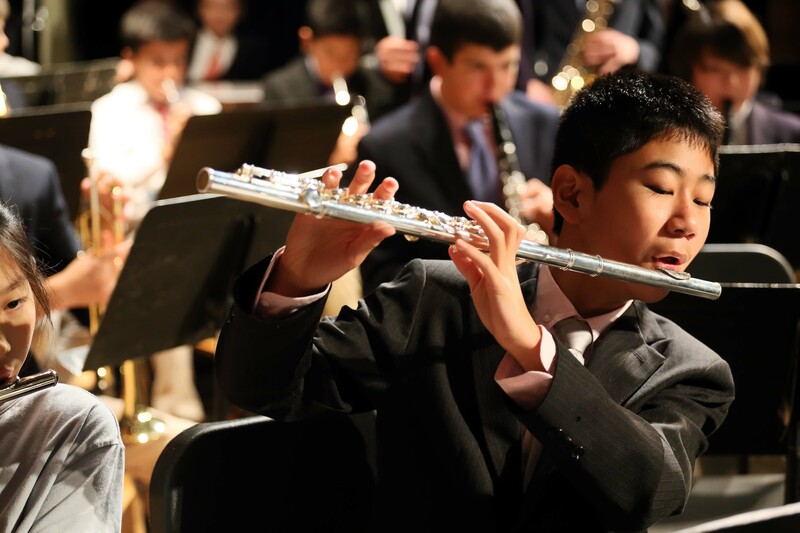 “This solo was a perfect fit for me because ‘Sunday Candy’ is one of my favorite songs,” said Baynes, “and to perform it with one of my friends since sixth grade, James Wang, is a dream come true.” This song, along with others, was even more memorable as the soloists interacted with the audience, occasionally kneeling down and serenading audience members in aisle seats. The next song was “Give Me Love” by Ed Sheeran, with soloists Ore Shote (III) and Jared Tiggs (VI). “Looking back on the assembly, there are things I would have done differently, but I think that everything went better than was planned,” said Shote of the performance. “Give Me Love” was followed by “Just the Way You Are” by Billy Joel, with soloists Rajeev Doraswamy (V) and Ian Dugan (V). After the song, the Buttondowns underclassmen thanked president Jonathan Huang for his contributions to the group. Huang soloed in the final song, “The Death of a Bachelor” by Panic! At the Disco, to end the assembly. The Buttondowns received fullhearted support and positive feedback from the Pingry community both during and after their performance. 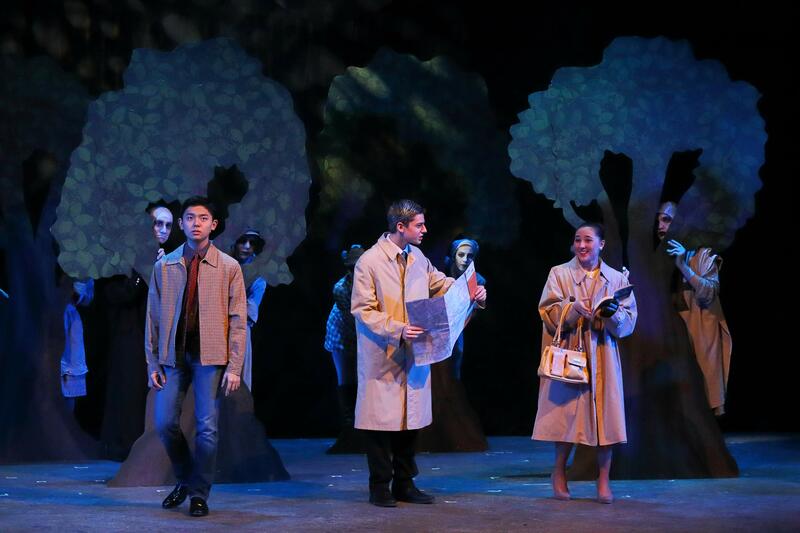 “The audience was incredible, and all the Buttondowns felt wonderful hearing the applause and kind words after the performance,” said Huang. Named the Best Picture of 2017 by L.A. Critics, Luca Guadagnino’s controversial Call Me By Your Name explores the harrowing coming-of-age experiences of first love and identity. 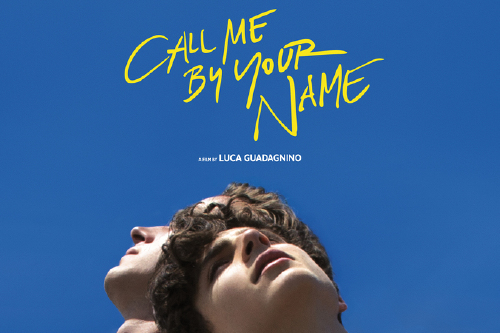 The movie stars Timothee Chalamet as 17-year-old Italian-American Elio and features his time spent one summer at his family’s villa in northern Italy. Armie Hammer is introduced as the early-20s, charming, all-American Oliver, who has come to the villa to study with Elio’s father, a professor of Greco-Roman culture. The film explores the tumbling romance that develops slowly between Elio and Oliver, navigating the turns of life that summer throws at them. Elio spends his summer days playing and composing music for the piano and guitar, biking around the stunning scenery of Crema, Italy, and reading books in the sun. Oliver proves to be a social butterfly in this new community; he wins the affection of Elio’s parents quickly, as well as the admiration of all the girls. Elio watches Oliver from the side, quietly keeping to himself. Their relationship begins to slowly develop from their furtive dinner-table interactions into something much more. As the story is told from Elio’s point of view, his crush on Oliver begins to escalate and reveal more about his character. Chalamet portrays his teenage character perfectly, allowing the audience insight into the vulnerability of discovering one’s identity. The audience is there at every step as Elio explores his final summer before adulthood. He struggles with his sexual identity, maintaining a sexual but emotionless relationship with a girl around the neighborhood, all while constantly keeping his eye on Oliver. Even though the connection between Elio and Oliver is apparent from the start, both of them work hard to maintain a cold distance between themselves. The movie comes to a climax towards the end, when the tension between the two is finally acknowledged, and they begin an electrifying, mesmerizing, and short-lived hidden relationship. The realistic portrayal and attention to detail in this film makes it extraordinarily special. Guadagnino maneuvers the sluggish summer days gracefully, depicting a lush and beautiful setting that envelops the viewer in its authenticity. As Elio and Oliver’s relationship becomes deeper, their interactions become increasingly awkward. However, it is not bad acting that creates this tension between the characters—their interactions are written to be painfully realistic in their long pauses and flustered statements. Guadagnino perfectly portrays the teenage clumsiness of navigating a first love. Additionally, Guadagnino manages to integrate every aspect of an idyllic summer into the background of the movie. Using an emphasis on nature and a nonchalant pace, Guadagnino is able to replicate an end-of-summer sense of drowsiness and fulfillment. His visual choices and cinematography enable the viewer to feel present in the scene. The movie ends with an incredibly intimate scene as Elio sits in front of the fireplace, grief-stricken with emotion after learning over the phone about Oliver’s engagement. Everything around him is dynamic, from the flames into which he is staring to the people hustling in the background. As the eerily powerful “Videos of Gideon” by Sufjan Stevens plays softly, tears slowly fall down Elio’s face over the course of three minutes. This finale reiterates the rocky journey of adolescence and emphasizes the impact of not only a first great love, but a first great loss. 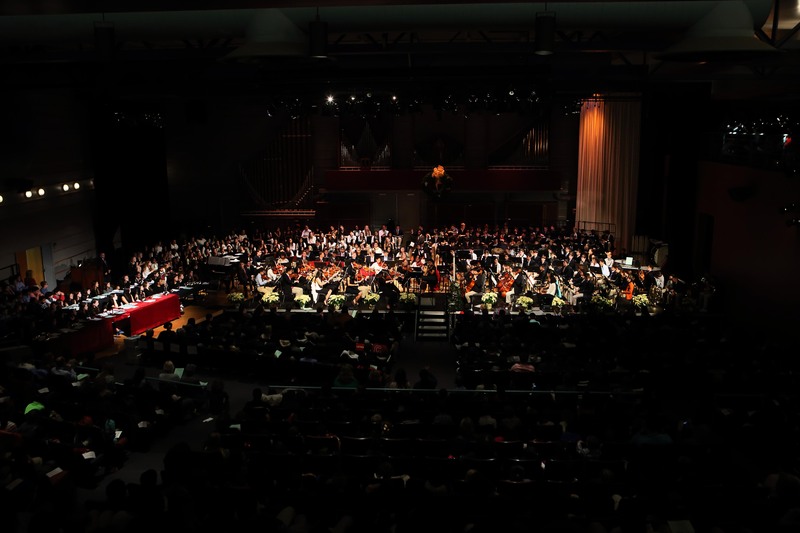 On December 13, 2017, Pingry hosted the annual Winter Festival, the only time that the Upper School and Lower School come together for one event. This festival has been a tradition for over 100 years. 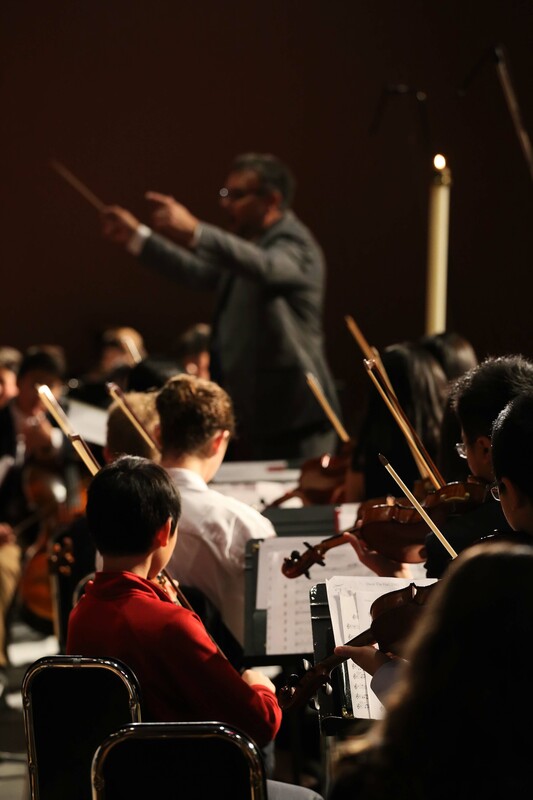 It celebrates the accomplishments of the orchestra, men’s and women’s glee club, Middle School band, strings ensemble, hand bells, and the music direc tors by showcasing their work to the entire school. 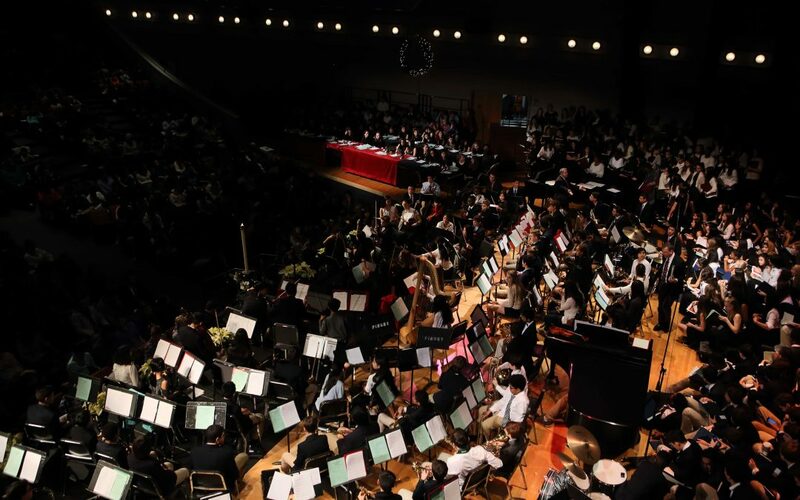 These efforts, coupled with the festivities and the environment, make the concert an important part of the school year in which over half the school participates. 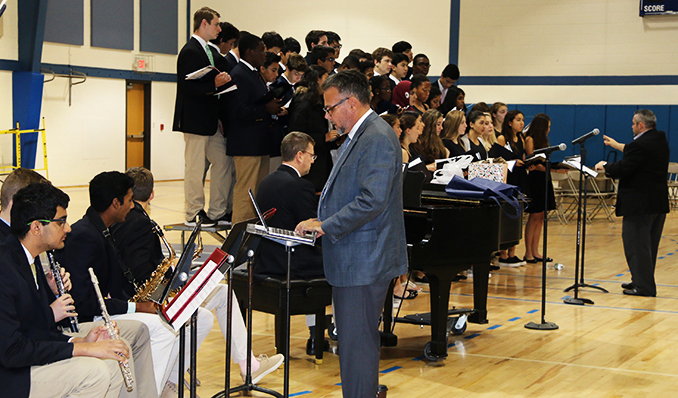 The event opened with “Deck the Halls” conducted by Mr. Tom Berdos, the Lower School music instructor. Headmaster Mr. Nathaniel Conard then delivered an introductory speech, which focused on the importance of community and the coming together of the two campuses. Next came the presenting of gifts to Ms. Lisa Floyd, the leader of Lift for Learning, an organization that gives food and clothes to impoverished people. Afterwards, the festival commenced with the tradition of Candela Accreditor (the lighting of the candle) by kindergartener Jake Fey and Student Body President Michael Weber (VI). 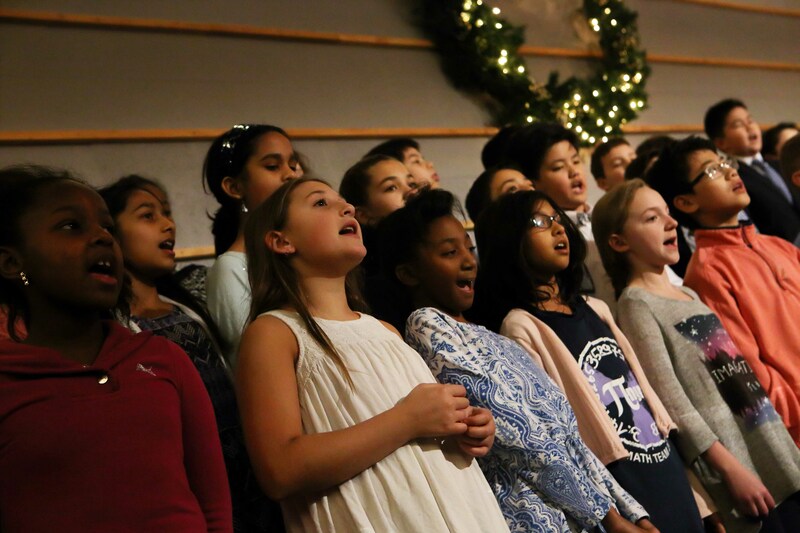 Highlights of the concert included “A Festive Noel” performed by the fifth grade chorus. As the fifth graders are the only group from the Lower School that performs at the festival, their contribution was highly anticipated and they delivered. In addition, it evoked nostalgia in people who were once a part of that group. 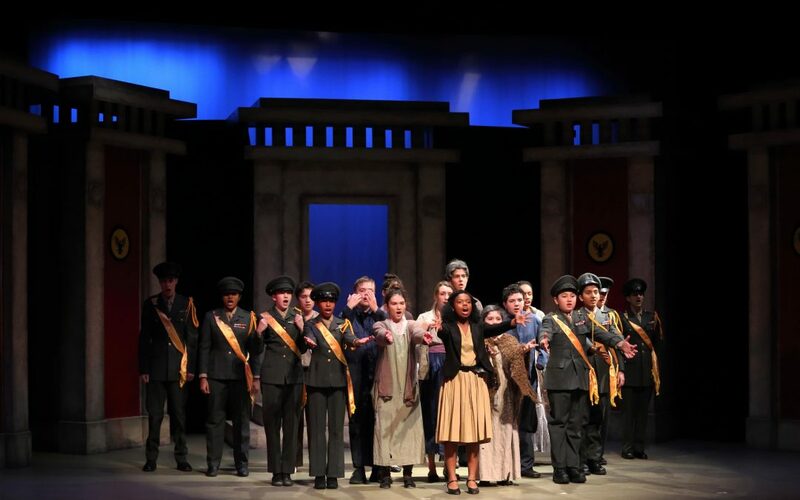 On November 9, 10, and 11, the Drama Department performed its annual fall play Antigone by Sophocles. The Greek tragedy describes life in the city of Thebes under the domineering rule of King Creon. A part of Pingry’s freshman English curriculum, the play examines issues of divine law versus societal law and the use and abuse of political power. The entire freshman class, along with special needs students from Montgomery Academy in Basking Ridge, watched the play’s dress rehearsal. The play follows a young girl named Antigone (Meghan Salamon, VI), whose two brothers turn on each other and cause a civil war. After they kill each other in battle, the newly crowned King Creon (Lucas Vazquez, V) advocates for the burial of only one of the brothers. Fearing the retribution of the gods, Antigone sets out to bury her other brother, despite the threats of Creon and warnings from her sister Ismene (Alison Verdesca, VI). Incensed by Antigone’s disobedience, Creon demands that Antigone be buried alive. Creon’s son Haemon (Giancarlo Castillo, VI), who is engaged to Antigone, tries to change his father’s mind but fails. After the blind seer Tiresias (Megan Pan, VI) predicts that Creon’s stubbornness will lead to disaster, Creon reconsiders. When he reaches the tomb, Antigone has hanged herself and Haemon, after attempting to kill Creon and failing, kills himself as well. When Eurydice (Sara Donovan, VI), Creon’s wife, hears the news, she also commits suicide, leaving Creon a lonely and broken man. In the play, the Army Chorus and the Citizen’s Chorus narrate the story and comment on the plot. In addition to having Ms. Singer as a new director, Antigone had a new master carpenter, Mr. Christopher Abbott. Mr. Abbott worked with Mrs. Jane Asch to create a futuristic set inspired by the play’s dystopian world. Another new faculty member, Mr. Alan Van Antwerp, served as technical director as well as lighting designer. Lindsay Cheng (IV), Jackson Lubke (V), and Ouarida Benatia (VI) served as the play’s stage managers.